After weeks of press releases and toxic Tweets, the coalition issued a list of 14 demands, including shutting down the Al Jazeera news organization, which Qatar owns, and booting out members of the Muslim Brotherhood. The US has not helped matters by appearing of two minds about the crisis. One mind, represented by President Trump, appears to support the Saudis against the Qataris, while the State and Defense Departments are more sympathetic to Qatar’s case. Added to the mix is the recent announcement that Qatar will buy advanced Boeing fighter jets, purportedly to defend the country and attack terrorists. Saudi also announced an even bigger arms deal during Trump’s recent visit to the Kingdom, which then named an unpredictable reformer as crown prince and successor to the throne of the house of Saud. If you are a Game of Thrones scriptwriter, you’re taking notes. With the U.S. self-sidelined and counting newly earned billions, a group of other nations has moved into the breach to help the fractious antagonists find a solution. None is on the horizon, an uneasy stalemate settled in. Is Qatar guilty as charged? It’s not for us to judge, to paraphrase the pope, who is not yet a character in this drama, but it’s probably accurate to say that while its critics’ indictment may have some merit, no one in the region is blameless when it comes to supporting bad and not-so-good actors. On balance Qatar has done more good: educating its youth, liberating women, supporting international charities that help young people, seeking diplomatic solutions to the region’s many problems. Even its much-criticized foreign policy that relies on pragmatism towards the Saudis’ arch-enemy Iran, holds promise that the Sunni-Shia divide can be bridged under certain conditions. Are they thus heroes or heretics? Businesses with interest in the region need to stay the course and follow events closely. 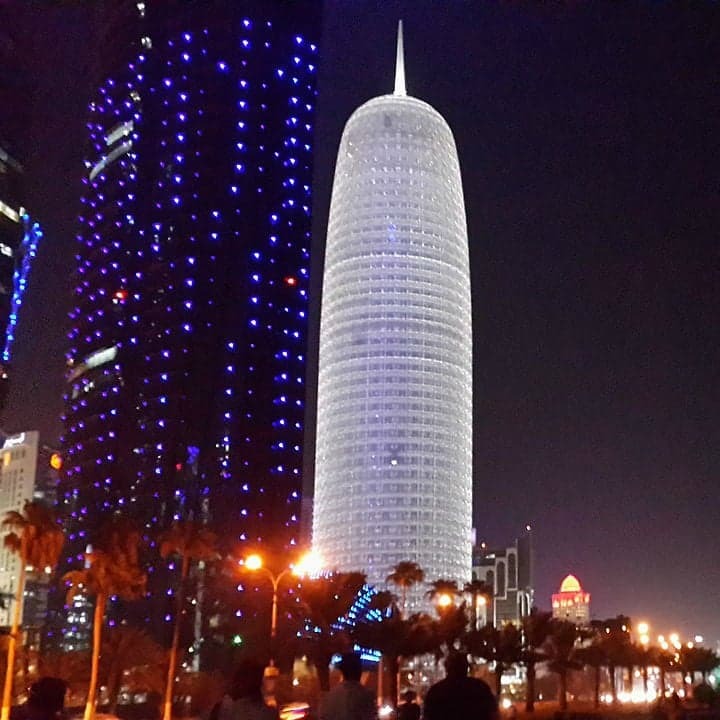 The longer the embargo, which is far from total, goes on the more Qatar’s economy will suffer. Though suffering is relative because of the size of Qatar’s cash reserves and the equity represented by its gas fields, which are the world’s biggest. For the time being, foreign workers, the largest segment of the population, are streaming home slashing demand for goods and services. And the many building projects, including mega ones for the World Cup in 2022, will come to a halt. Commentators say that if Qatar were to be stripped of the host role, the consequences could be devastating. That seems unlikely, but so did the current regional rift. What perhaps we’re witnessing is a necessary modernizing of sclerotic family fiefdoms that are by their very existence in a fast-changing world a main cause of current and future conflicts, if needed reforms are not forthcoming. Qatar may have been the only place in the region to see the real lesson and potential, albeit in a limited way, of the Arab Spring, which in Qatar was not a popular movement to be feared and repressed. For that Qataris were and continue to be condemned by regional reactionary potentates, who themselves seem about to be shuffled off the stage by younger reformers, concerned that the elites they represent are losing touch with reality. Qatar could actually help their tormentors successfully manage this process and should more loudly offer to so. So what we’re seeing could be the beginning of Arab Spring II, which like the first began with promise only to end in disaster for the reformers. Maybe this time it will be different. But with the Gulf Cooperation Council in tatters and no coherent trade, regional or other policy coming out of Washington, DC, it’s hard to predict what happens next.